Calvin Richard Lester, Sr., 65, of Washington Street, Crooksville, passed away at 9:05 P.M., Tuesday, September 29, 2009 at Autumn Health Care in Somerset after an extended illness. He was born April 6, 1944 in Baisden, West Va., to Tom Lester and Lizzie Bevils Lester. Calvin was a self employed auto repair mechanic and painter. 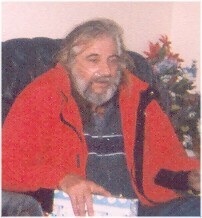 He is survived by his wife, Wanda Lester of Columbus; sons, Tommy Lester, Brian Richard Lester, Kevin Lester and Calvin Richard Lester Jr. all of Columbus; his step-sons, Daniel Fuller of Crooksville and James Fuller of Columbus;his step-daughter, Tina Spencer of Williamsport; his brother, Jurlus Ray Lester of Columbus; several grandchildren and his caregivers, Anita Riley and her daughters, Larissa Riley and Chelsi Riley. He was preceded in death by his parents; and several brothers and sisters. No calling hours will be observed.